The index opened weak around 8325 and saw relentless selling pressure to move to the lows of the day around 8111 and closed at 8127.35, Huge loss of 251.05 points. Today was the biggest single day loss in more than a year. The broader market was also very weak, with just 216 advances to 1348 declines. 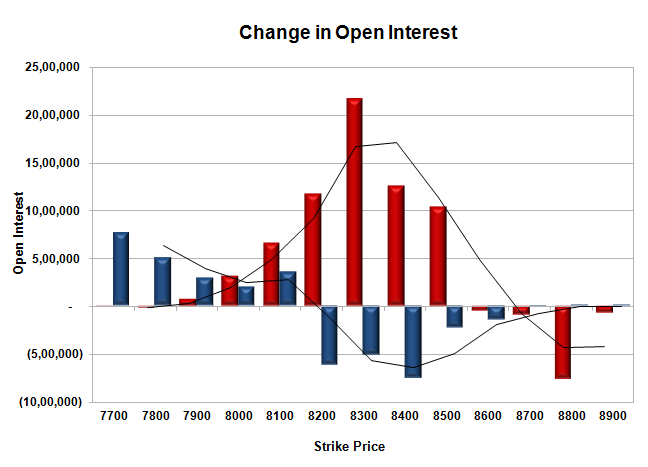 The Larger Range as per OI Table has narrowed down to 8000-8500. 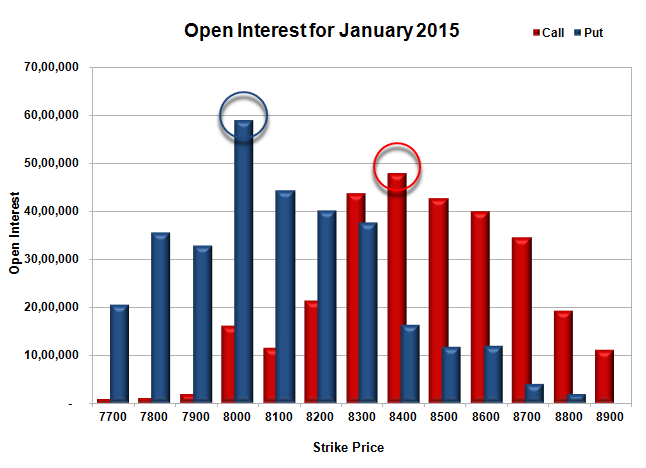 Call option 8000-8500 added huge 66.08 lacs OI with profit booking seen at 8600 and above strike prices. Put option 8100-7700 added huge 21.29 lacs OI with short covering seen at 8200 and above strike prices. Nifty Open Interest is at 1,91,57,775 down by 15,40,725, with decrease in price, most probably huge long liquidation. Bank Nifty Open Interest is at 21,97,825 up by 1,83,975, with decrease in price, most probably huge short build-up. FII’s sold huge 34.44 lacs Futures, which includes 117283 contracts long liquidation and 20490 contracts short build-up, with decrease in net OI by 96793 contracts (includes 95351 longs to 233124 shorts for the day) and the Average Price comes to 8515.47. FII’s Index future open contract as on date is 478696 Longs to 101191 Shorts, net long 377505 down by huge 137773 contracts. Initial support now at 8100, with huge OI of 44.38 lacs and below that at 8000 with highest OI of 59.04 lacs. Initial resistance at 8200, with huge OI addition of 11.72 lacs and above that at 8300 with OI of 43.72 lacs. 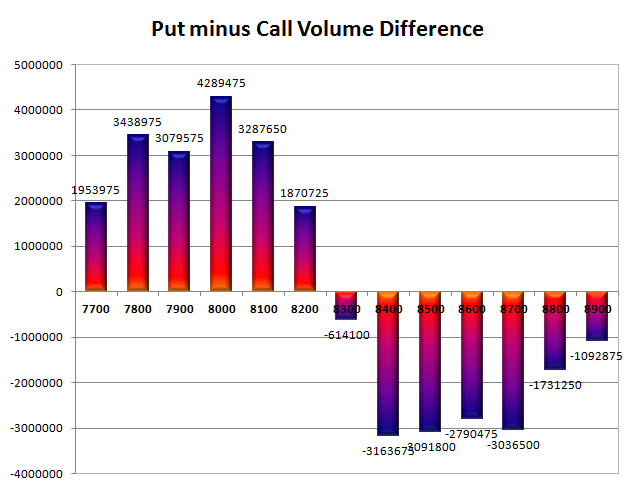 Day Range as per Option Table is 8093 - 8256 and as per VIX is 8053 - 8201 with 8189 as the Pivot.